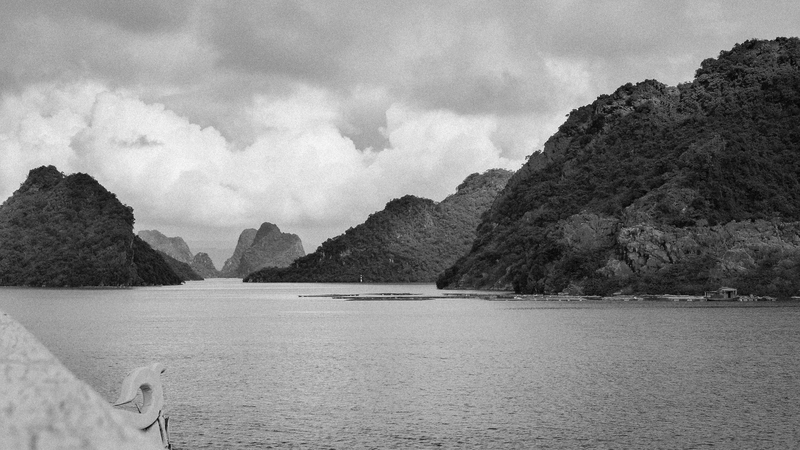 Have you heard enough about Ha Long Bay already? Well then, you’d better skip this post because I’m still talking about it! 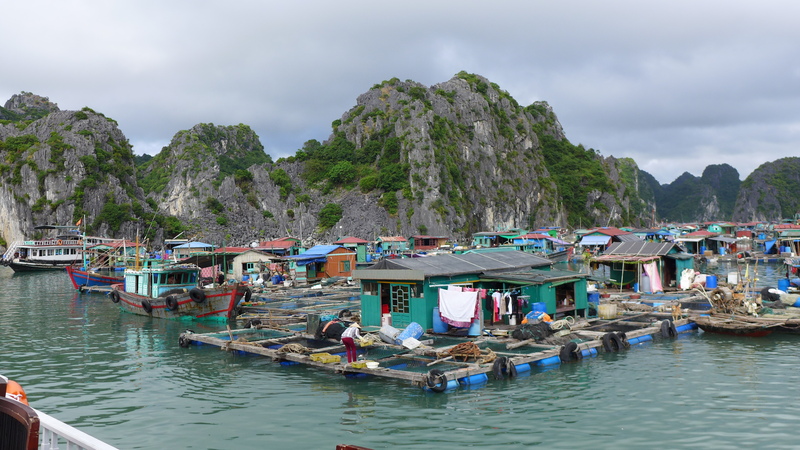 Check out this amazing floating village that we motor through on our way to Monkey Island. 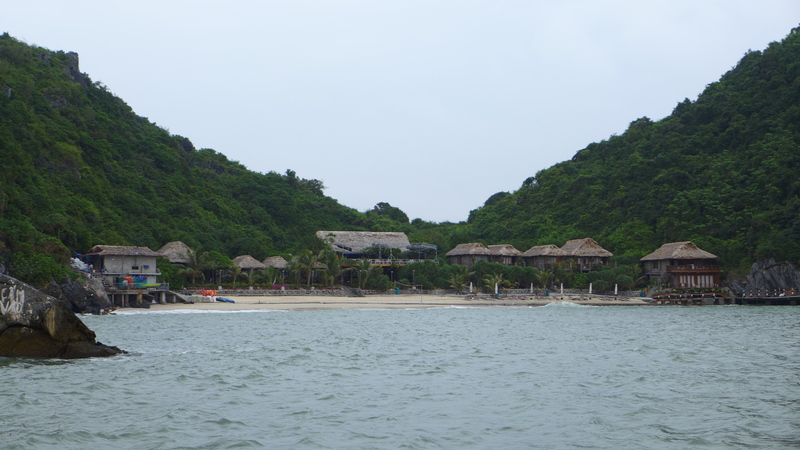 I loved the view of the bungalows on the beach of Monkey Island as we approached. It was a bit overcast- but it still managed to look like a tropical paradise! While we got off the boat, lunch was already on the tables. I’m pretty sure this is Korean BBQ… even though we were in Vietnam. 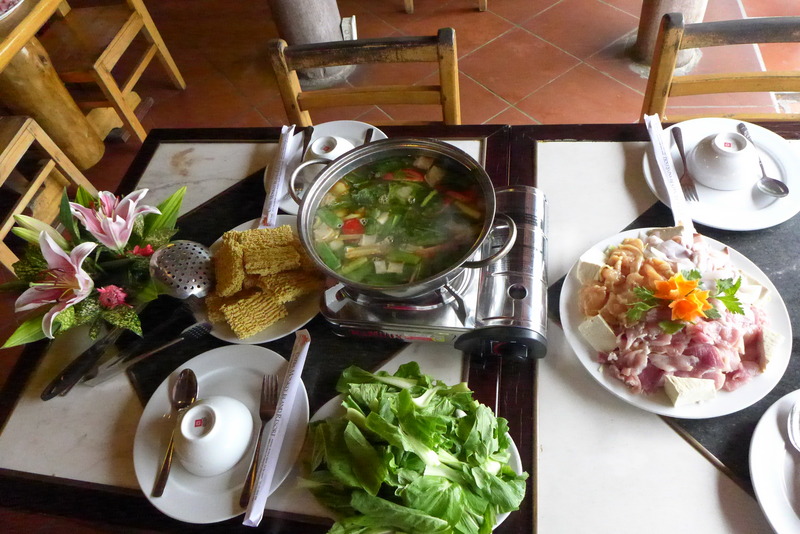 You would put the dried noodle and raw fish or tofu into the hot pot to cook. 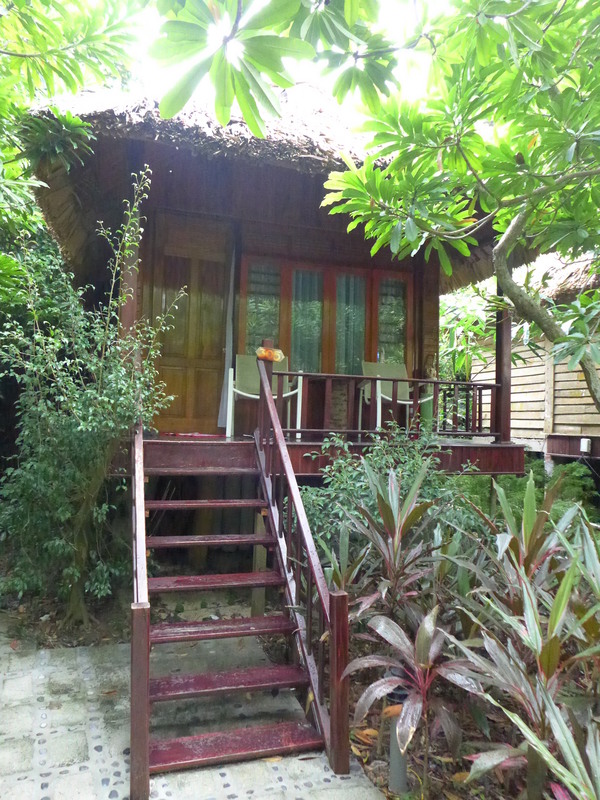 Check out our cute little bungalow! The only other thing worth noting is that we had our own little mascot- a cute bat who was hanging in the tree outside our bungalow. It was twisting back and forth. Isn’t he darling?!? All too soon, it was time to head back towards Hanoi. 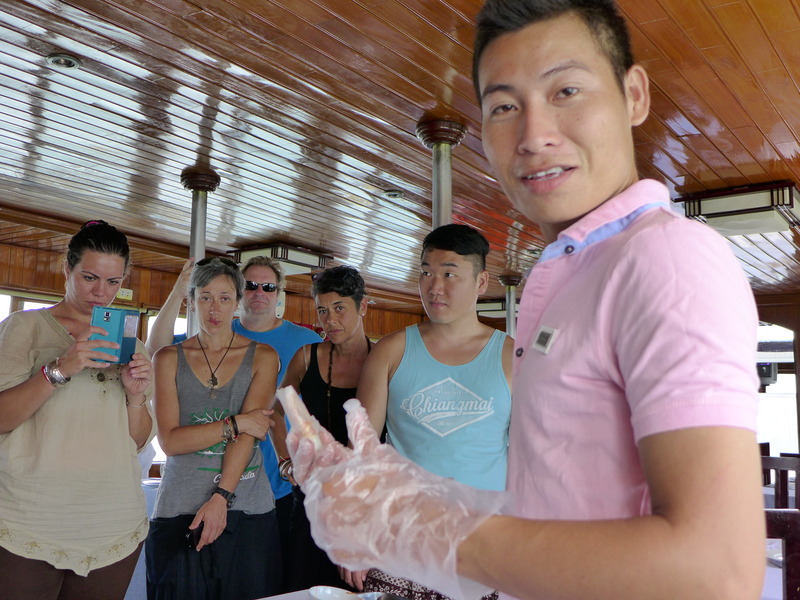 On the way back, Van (our boat host) taught us how to assemble fresh spring rolls. 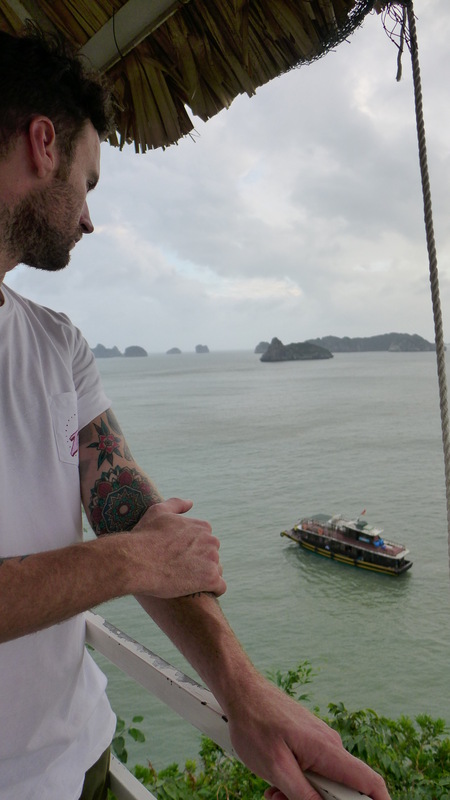 One more pic before we get back to the mainland and head to Sapa! Thank you for the introduction. We will be there next month and I’m really excited to see all this for myself. It sure looks amazing! Great! I’m sure you’ll love it. 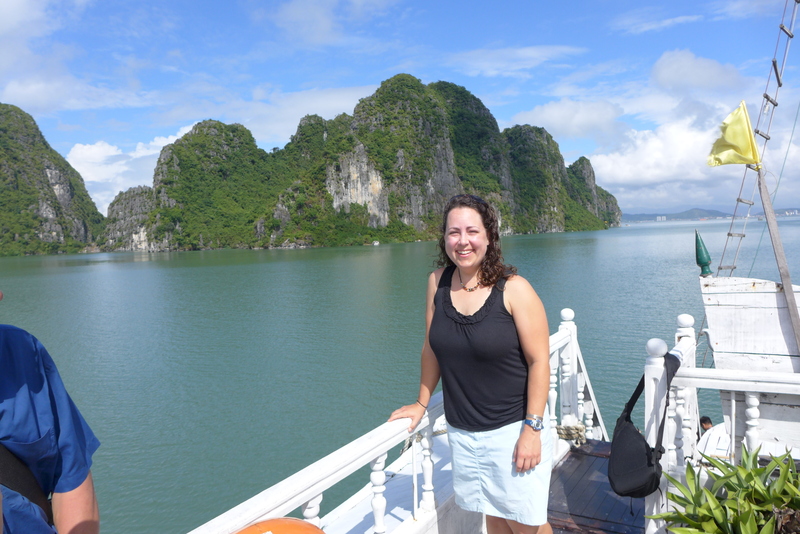 Next time I head to Vietnam, I’m flying right into Hanoi- all the parts I loved best are in the north.